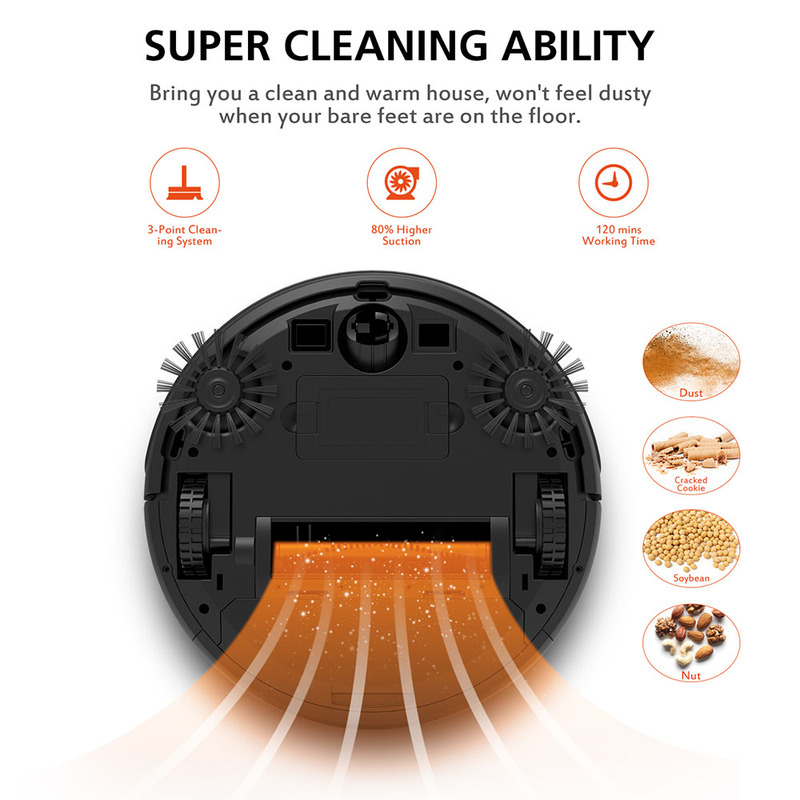 ROBOT VACUUM WITH UPGRADED SUCTION – Our MOOKA I3 floor cleaner with two side brushes, a rolling brush and powerful suction ensure a thorough clean of your carpets, hard floors and ceramic tiles, with a run-time of 90-120 minutes. 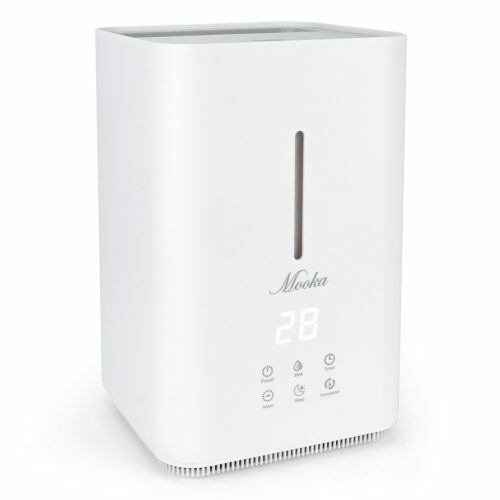 It comes complete with a timer so that it can be set to clean at a time that suits you. 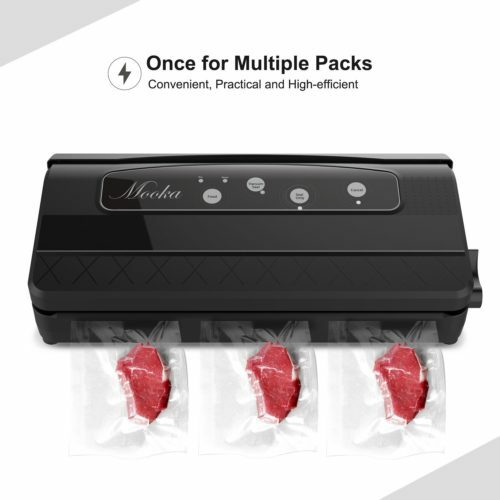 MULTIPLE CLEANING MODES VACUUM CLEANER – Clean your house with the click of a button. Auto, spot, edge and single room cleaning modes will meet all your different vacuuming needs. 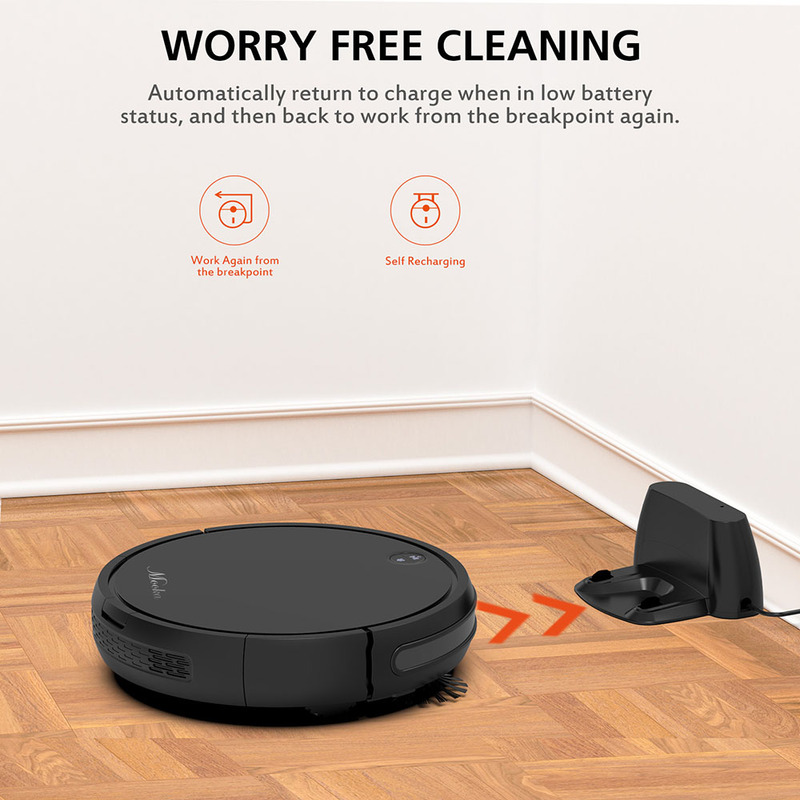 RECHARGEABLE BATTERY & 7 METER REMOTE DISTANCE – The I3 Vacuum cleaner will start automatically on its schedule or timing program and return to the docking station in time to recharge when the battery runs low. The remote control distance is approximately 7 meters. 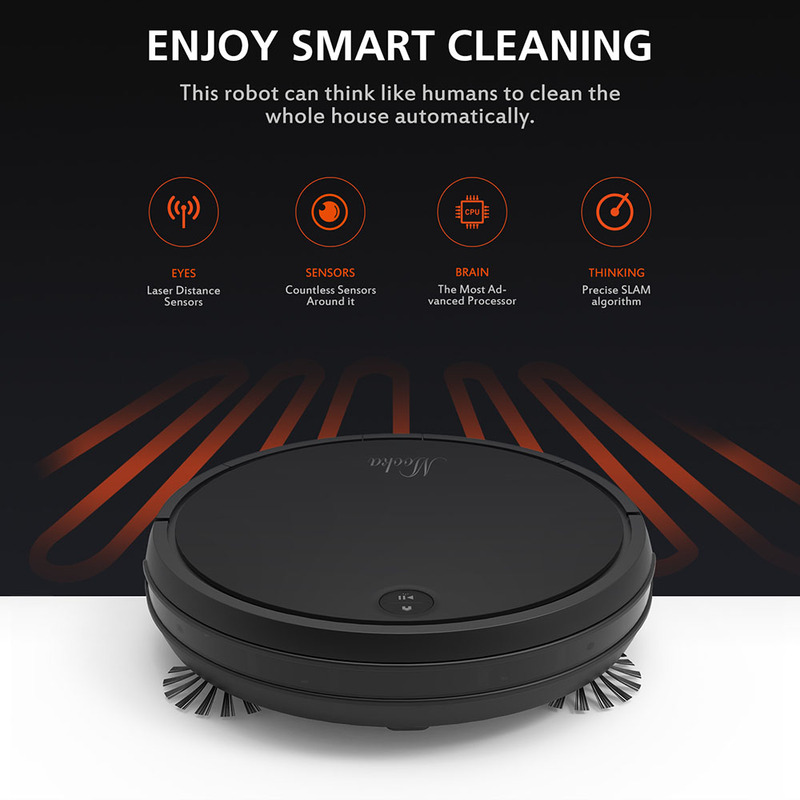 SMART ANTI-FALL FLOOR CLEANER – It will adapt to individual household environments, and thanks to advanced sensors, will avoid bumping into furniture and falling down stairs. 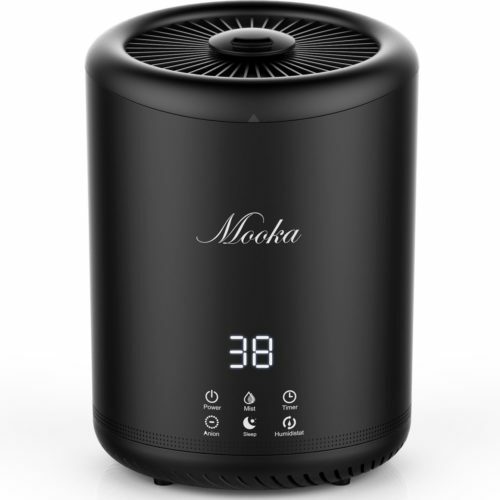 The automatic vacuum cleaner’s HEPA filter keeps fine dust particles trapped inside the easy-to-clean removable dust box. WHAT YOU GET – A remote control (requires 2 AAA batteries, not included), charging base, AC power adapter, cleaning tool, HEPA filter, 2 side brushes, a cleaning brush, a screwdriver and an instruction manual. In addition to this, we offer a 30-day money back GUARANTEE and a 1-YEAR warranty. 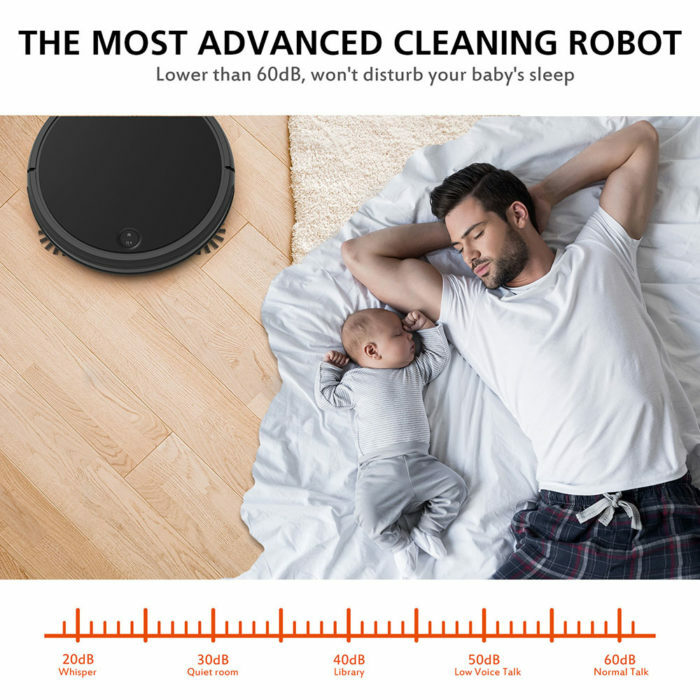 Whether you love having the latest tech, hate cleaning or you’re not as mobile as you once were, Mooka robotic vacuum cleaner is a fun way to get a rather boring household chore done. 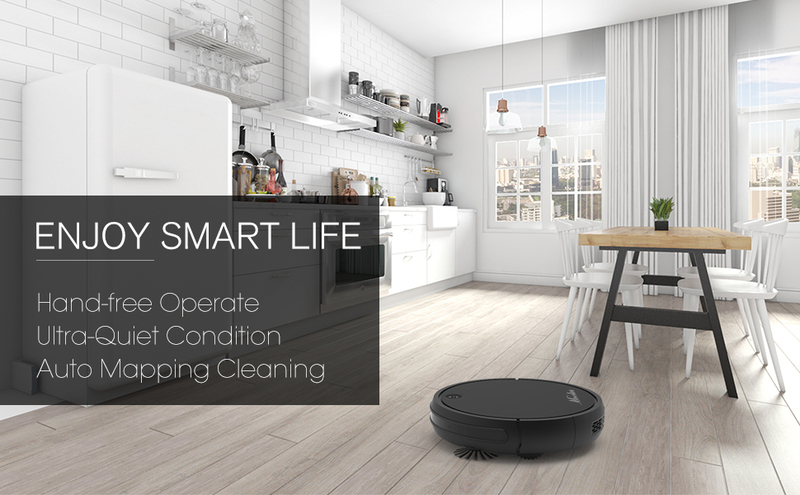 With the dawn of Mooka Robotic Vacuum Cleaners, vacuuming your home no longer needs to be the chore it once was. 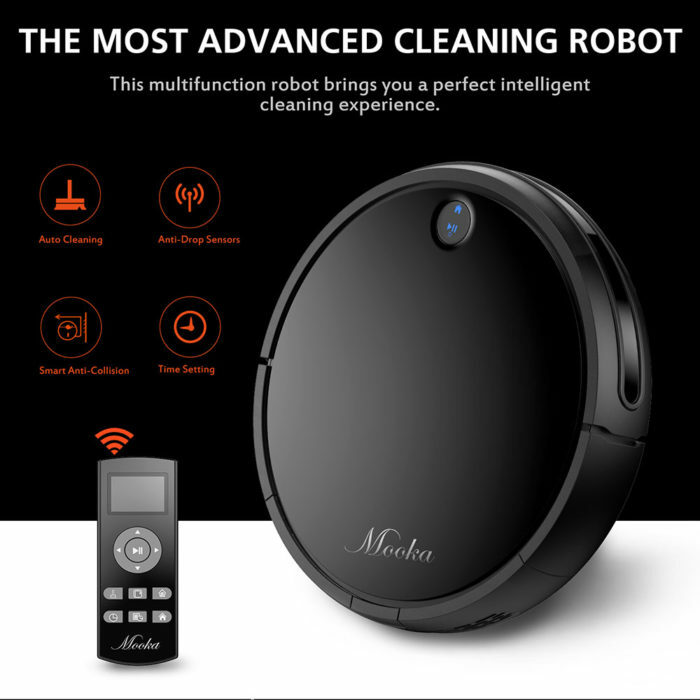 In fact, Mooka Robot Vacuum Cleaners will help you cleaner floors, throughout your entire home after a quick setup, and you will never have to lift a finger to clean your floors with a robot vacuum, save when it’s time to empty the bin. Mooka Robot Vacuum Cleaner is more convenient to use due to the fact it can vacuum on its own. 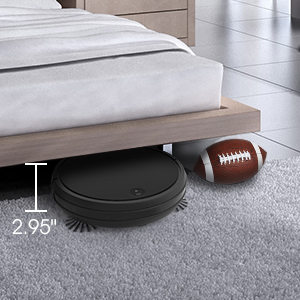 Not to mention the size difference, the robotic vacuum can be kept under beds, desks, closets, whereas a regular vacuum cleaner requires a large amount of space. Mooka Robot Vacuum Cleaner seamlessly navigates an entire level of your home, keeping track of its location and recharging as needed until the job is done. The Advanced Cleaning System with Power Boost automatically increases power on carpets where it’s needed most. Once connected with the Remote controller, you can clean and schedule on the go. Leaving you with more time for what’s important. 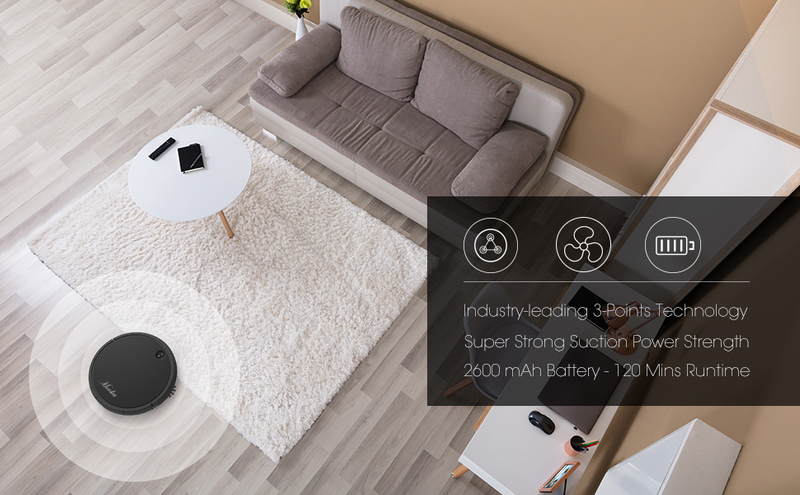 SUPER CLEANING ABILITY – An advanced 3-points cleaning technology gives the Mooka robot vacuum cleaner up to 10x the air power in performance modes than other bands. Auto, edge and single room cleaning modes will help are cleans an entire level of your home, even hard-to-clean edges. GREAT USER-FRIENDLY FEATURES – High capacity 2600mAh Li-ion battery, delivers up to 120 minutes runtime. 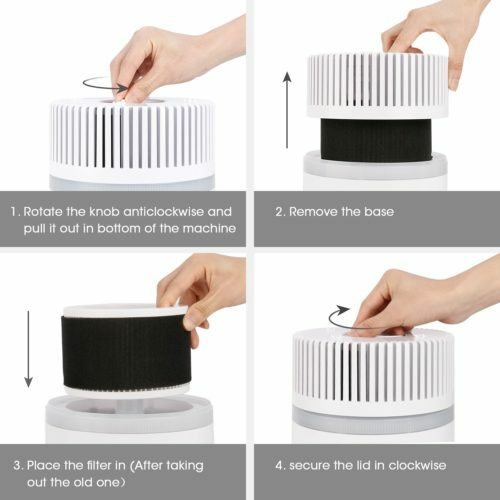 Anti-drop sensors around the robot vacuum clean prevent it from falling down stairs. Anti-collision sensors identify obstacles automatically, moves effortlessly around obstacles and under furniture. 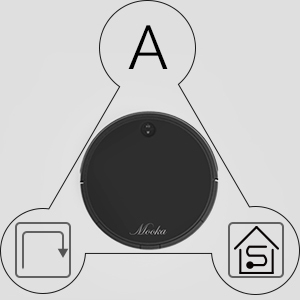 Intelligent Cleaning – There are so many sensors distributed around Mooka Robot Vacuum Cleaner. 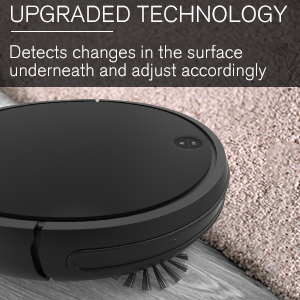 It automatically detects dirt and would spend more time cleaning concentrated areas of debris. 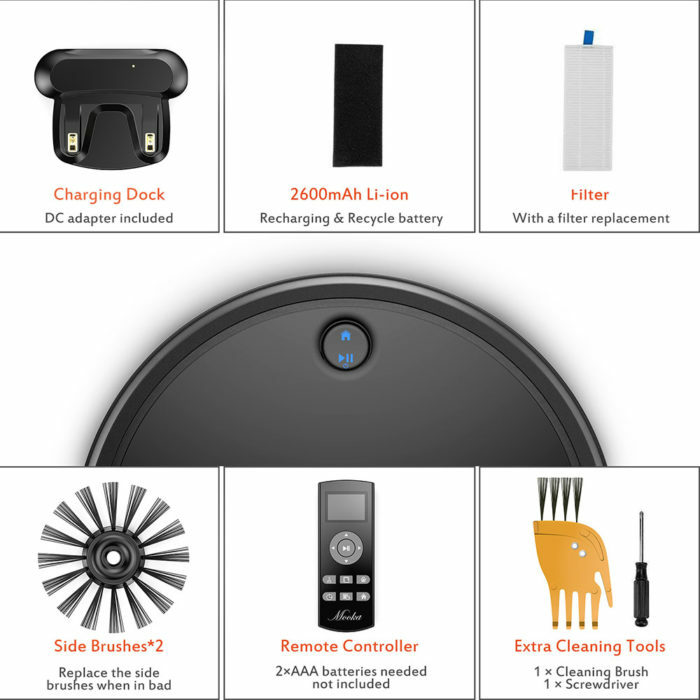 Mooka Robot Vacuum Cleaner comes with 3 modes, auto cleaning, edging cleaning, single room cleaning. 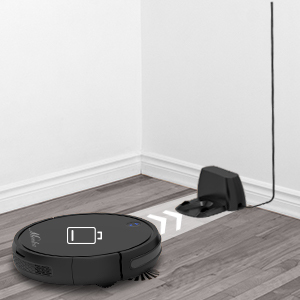 The robot will adapt its path to clean your floors more thoroughly. 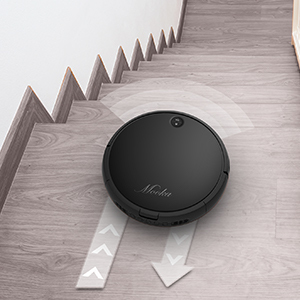 Upgraded Technology – Mooka robot vacuums are equipped with sensors that detect changes in floor surfaces, will automatically adjust to different surfaces. When it rolls over from the hard floor to low-pile carpet, it will automatically increase suction power within seconds as extra vacuuming strength is needed to get the best clean. 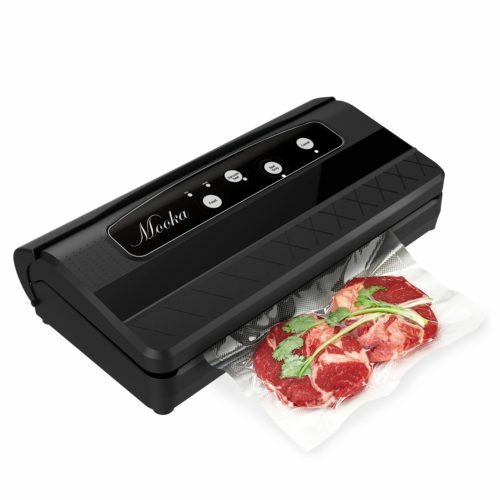 Remote Control – Extremely easy to use. Let you customize clean modes and set schedule conveniently – anytime, anywhere. 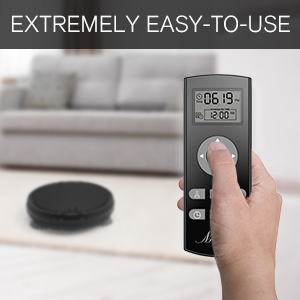 Connect the robot vacuum cleaner with the remote controller by pressing the button on the robot, choose the cleaning mode you would like. With the timer set function for a predetermined start time, the product will virtually run itself. 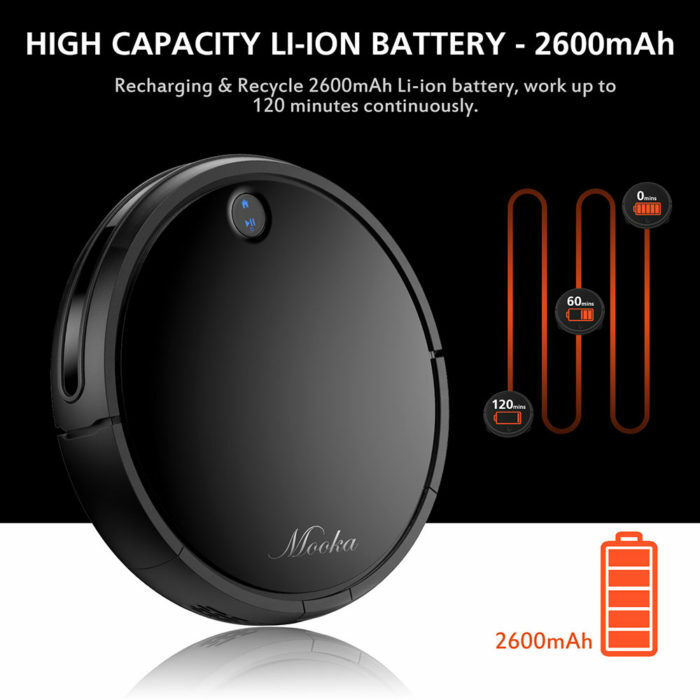 Self-Recharging – Mooka Robot Cleaner will return back to charging dock when in low battery. Anti-drop & Anti-collision Sensors – Prevent from falling down stairs and identify obstacles. 2.95 Inch in Height – It is easy to reach underneath beds and sofas, and clean it more thoroughly. Question: Will this spy on me and tell the government or google what I am doing? Answer: Yes it will it is evil. It even knows your thoughts and what you do with your regular vaccuum when no one is around. Question: Does this work on thick carpet? 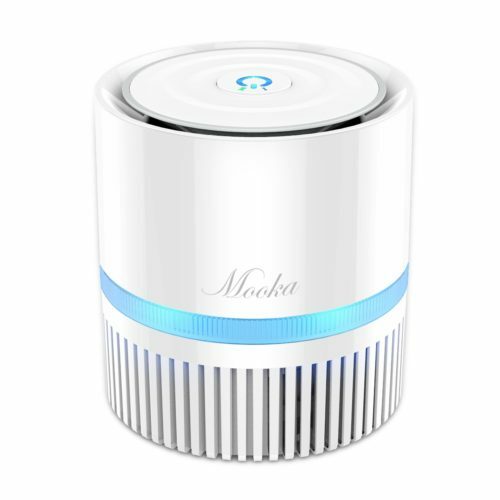 Answer: Hello Dear, thanks for your support our MOOKA vacuum robot. 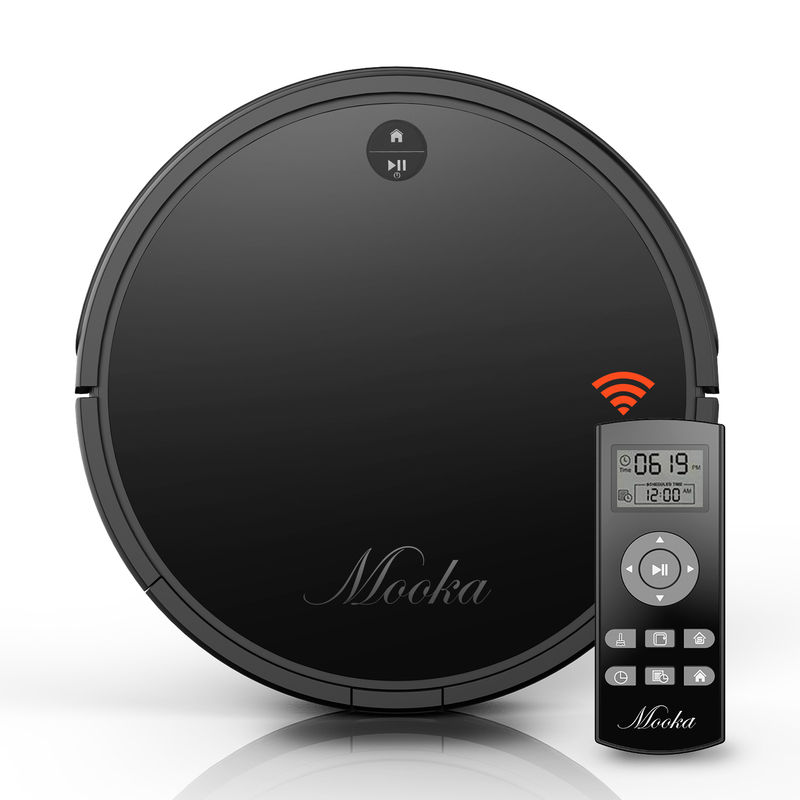 Our MOOKA robot vacuum can work on hard wood floor and thin carpet. Question: how it will know where to clean? Answer: Hello Dear, this MOOKA I3 vacuum robot has no APP connection and only with a remote control. If you want to know where to clean , you should see t by yourself. Answer: Hello, the battery lasts 100-120mins. Question: Will unit clean multiple rooms and find its way back to the charging station? Looking for unit that can clean two bedrooms, one bathroom and hallway. Answer: Yes, when it is low battery, it can find the way back to charging station. Question: how is working ？how long the bettery? Answer: Clean your house with the click of a button. Or using the remote control. The battery lasts 100-120mins. Question: What is the suction power 1000pa, 1500pa, 2000pa? Question: where can we get replacement filters and what is the cost? Answer: Now we have no the replacement , when we have this , we will inform you by email . And will update in our official website. Hope you can focus on our official website. Question: Can it move from wood to tile, or wood to low carpet? Answer: Hello Dear, thanks for your choosing our products. The MOOKA I3 vacuum robot can remove from wood to title, and if your carpet is the thin carpet, it is also can move from woo to carpet. Hope this answer will be useful for you . 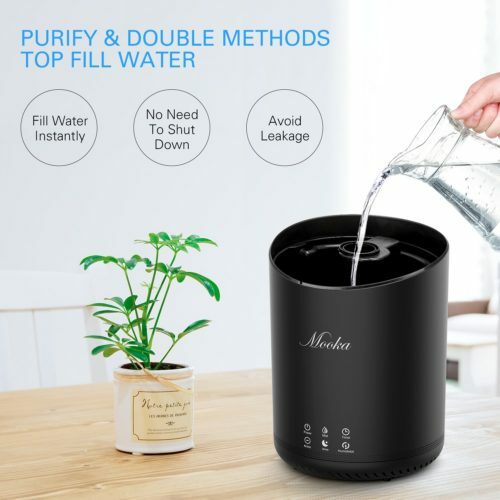 Question: Does filter needs to be replaced? If so, how often? Answer: The filter can be replaced. This will be according to how often you use and how big your house. This I3 robot will work on 100-240V. So you said 220 volts will suit for this robot, hope you will like it.